PeakEmployee provides a real-time monitoring platform to capture the voice of the employee, identify risks, and create action plans that drive informed change resulting in increased retention and customer focus. Try it FREE for your team or your entire company. Download our latest whitepaper on "The True Cost of Employee Turnover"
Creating a customer centric culture is not a one time event. Rather it's a conscious decision that needs to be nurtured and monitored to ensure the drivers of that culture are on track. 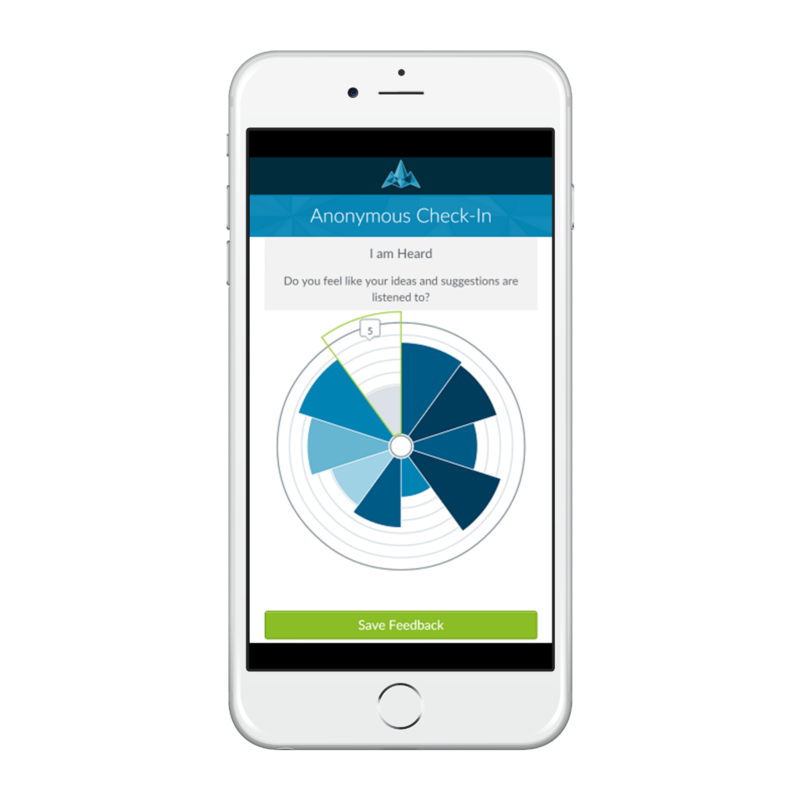 By monitoring the pulse of your employees through regular voice of the employee surveys we can understand shifts in engagement, productivity, satisfaction, and retention that affect your customers and bottom line. With PeakEmployee you will have the tools in place to identify issues early and drive positive change. Implementing a Voice of the Employee program doesn't have to be boring or distracting for management or your employees. PeakEmployee uses a Patent Pending pulse assessment tool that captures voice of the employee data faster and with higher response rates than any other survey tools in the industry. You can view an image of our innovative pulse survey solution below. 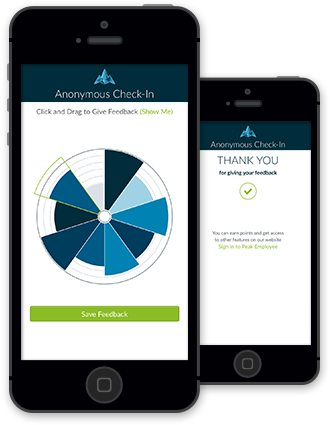 It can be taken on a desktop, mobile, or tablet and captures more data in less time than any other survey interfaces on the market. It's as simple as 1,2,3. No credit required. is as simple as using our 20 Minute Work Week. We walk you through the data and point out anomalies so that you can drill down seamlessly into our advanced analytics. Read through quotes from employees working in divisions that are faltering. 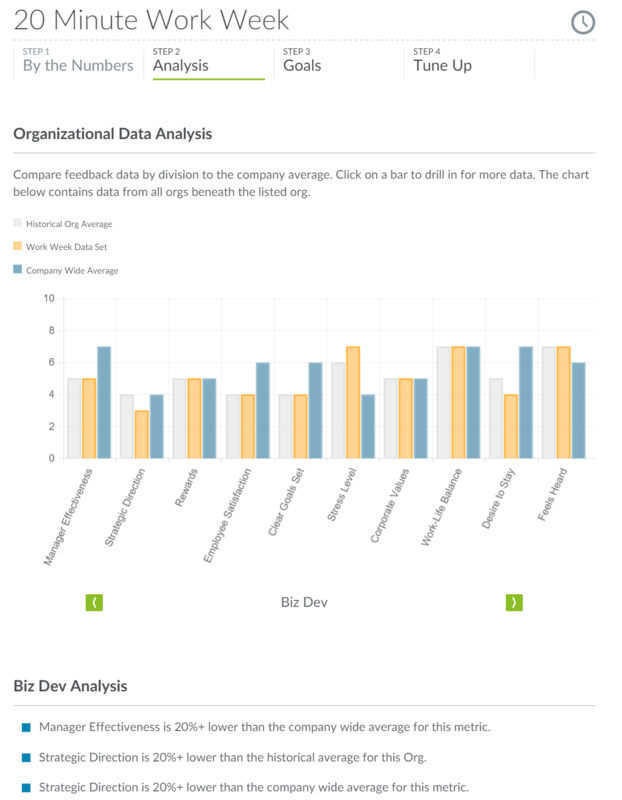 Contrast divisions and locations against each other, identify top managers, wins, challenges, and quickly understand what is going on in your business and how it is affecting customer centricity. Our rich insights and industry leading analytics help you to craft an action plan to address issues we uncover. PeakEmployee™ allows you to rapidly identify problem areas and follow up with employees and managers. Reporting and analytics are only useful if you can take steps to create positive change. With PeakEmployee, any issues you discover can be turned into goals and progress against them tracked and reported on to ensure your culture is on track to drive superior results. 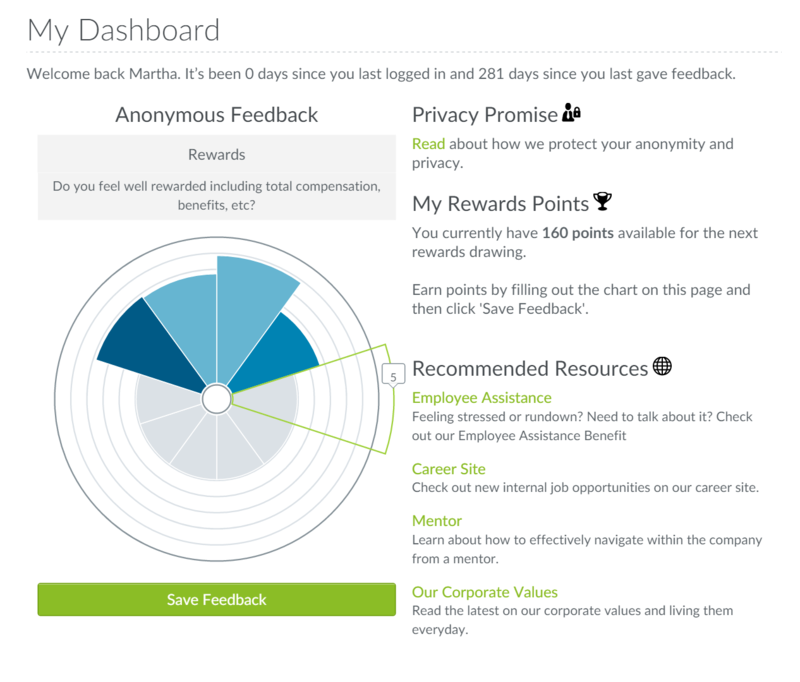 It's simple to keeo your employees motivated to provide feedback with PeakEmployee. In exchange for providing 30 seconds of feedback you can offer configurable rewards points that are entered into a drawing you can conduct on a monthly or quarterly basis for a prize you choose. 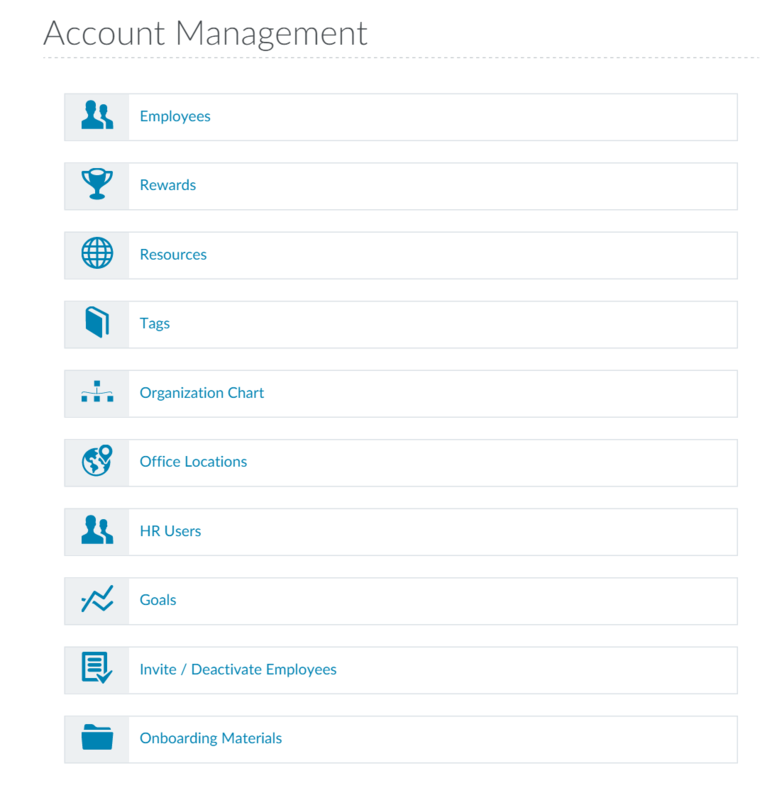 PeakEmployee tracks all of this for you to make it simple and efficient. It's also a fun way to thank your employees with a simple thank you gift of an Amazon or Starbucks gift card. Companies that give their employees a voice in how they feel about sales, customer service, policies, and management have a competitive advantage when it comes to understanding how to drive positive change. PeakEmployee gives companies the ability to create a healthier, happier, workforce with increased retention, lower turnover costs, and employees excited to exceed customer expectations. Are you ready to create a customer centric culture at your company?